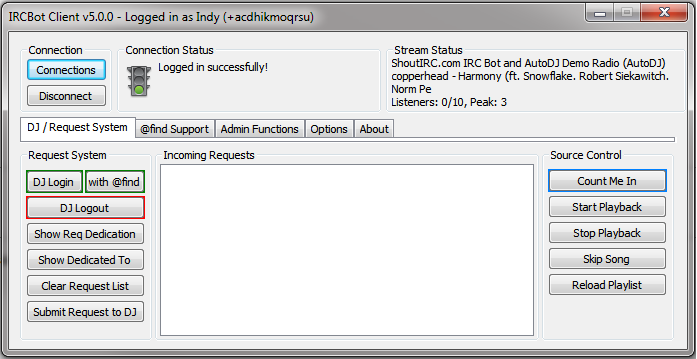 This is the new, completely rewritten RadioBot Remote Client v5. This returns to a native Windows-only release (may run under Wine on Linux, not tested). @find support for Live DJs (ie. users can use @find to search a Live DJ's music when he or she is DJing). 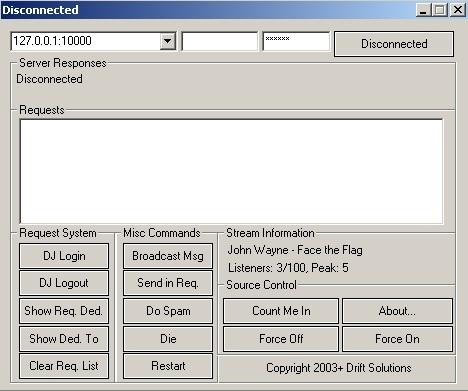 @find support can search a music folder, or import from SAM Broadcaster if the Live DJ uses SAM. Return of a v1/v2 feature, stations can include a client_help.txt text file in their customized installer and it will show up in a tab. This was a test version that didn't pan out, never released publicly. 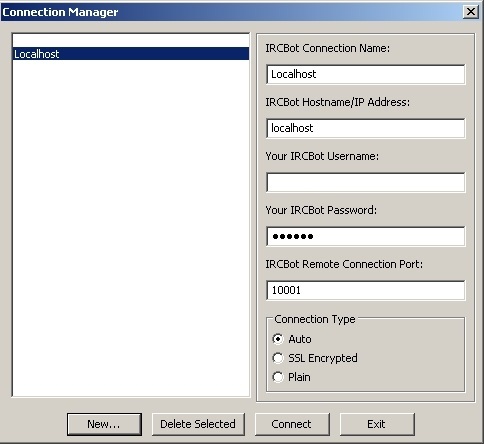 This is the oldest supported RadioBot Remote Client. It is cross-platform running natively on Windows & Linux, but due to the windowing toolkit is sometimes glitchy. Karol P. (Hackez) was responsible for the original drawings that this GUI was designed from. This page was last modified on 25 October 2013, at 10:07. This page has been accessed 9,218 times.